It’s time for your well-earned break. You’ve saved up, booked flights and accommodation, taken time off work and planned all the amazing activities you’re going to get up to while you’re away. All that’s left is to fit everything you might need during your holiday into just a few cubic centimetres. and make the most of your luggage space. Even if your clothes spend the rest of the holiday piled in a corner of the bedroom, do your best to be a neat freak when packing for a holiday. 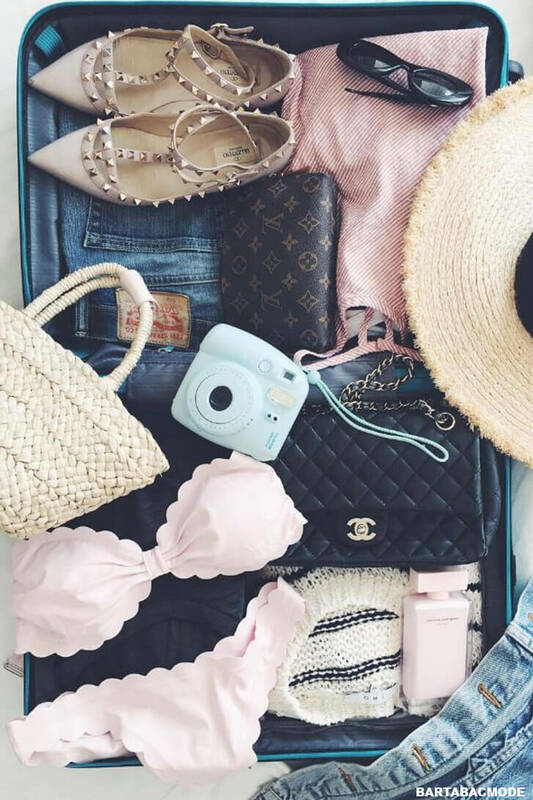 Fold your shirts, jumpers, dresses and jeans as if you were dressing a shop window – keeping them as neat as possible will not only mean they stack more space efficiently in your suitcase, but also help to prevent creases during travel. Also, packing cubes are handy for keeping everything compact, and for separating your stuff for quick and convenient unpacking when you get to your destination. Most suitcases come with internal luggage straps known as cross-ribbons, so why not use them? Elasticated ribbons are good for holding the contents in place, but the kind you can adjust for tension are even better. Use your luggage straps to compress soft items like clothes and beach towels, leaving you with more space to pack those other essentials. You’ll soon run out of space in your suitcase unless you pack creatively. Try to think of where space is being wasted – your shoes are hollow, so why not fill them with socks, charger cables or underwear? If there’s room in your wash bag going spare, then exploit it! And if your hiking boots are taking up tons of space in your luggage, wear them on the plane and pack your sandals instead. 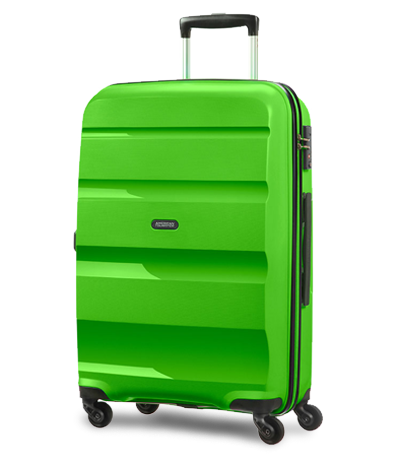 Bon Air is a hard zipped suitcase combining strength, style, and lightweight practicality. With a variety of handy storage spaces and a set of elasticated luggage straps, it’s simple to pack like a pro on your next holiday. 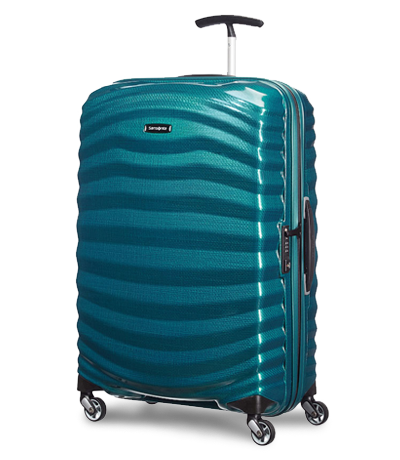 The Samsonite Lite-Shock is the lightest suitcase in Samsonite’s Curv collection, marrying minimal weight with maximum impact resistance. You get spacious storage compartments without a bulky outer shell, and sturdy cross ribbons to hold your belongings in place. 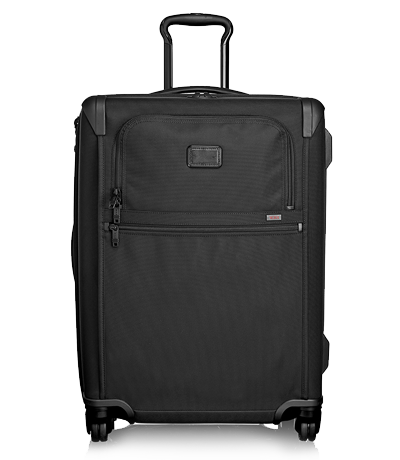 Tumi’s Alpha range has been designed to be the best of the best – lighter, stronger, and with more packing capacity than ever. You get a removable suiter section for packing convenience, recessed wheels to maximise storage space, and an additional front zip pocket to help you pack more efficiently than ever.